•	Universidad de Costa Rica. 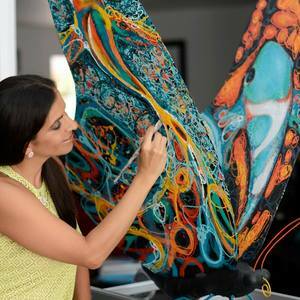 Bachelor's Degree in Fine Arts with an emphasis in Painting. Pending. •	Universidad Fidélitas. Bachelor's Degree in Business Administration. Pending. •	“Arte al norte”. Art In Motion Gallery (2014). Allentown, Pennsylvania, E.E.U.U.